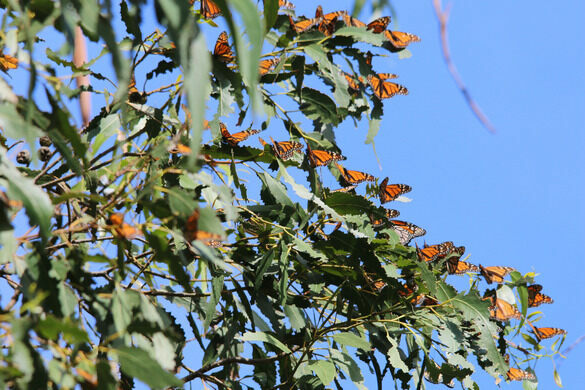 Thousands of migrating monarchs wait out the winter clustered in the eucalyptus trees. 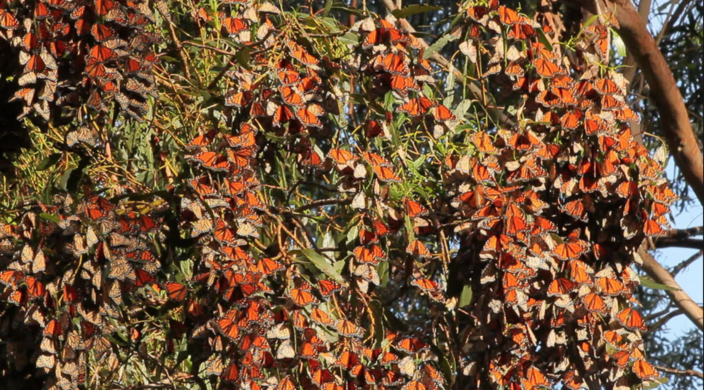 If you find yourself heading to the Santa Maria Valley on the central California coast to escape the chilly northern winter, make sure you stop by the Monarch Butterfly Grove at Pismo Beach. There, you can gaze upon thousands of delicate winged beauties who have had the same idea. Handmade treasures from around the world. An eccentric home stands out in an otherwise average neighborhood with mosaics, mini topiaries, and kinetic sculpture. 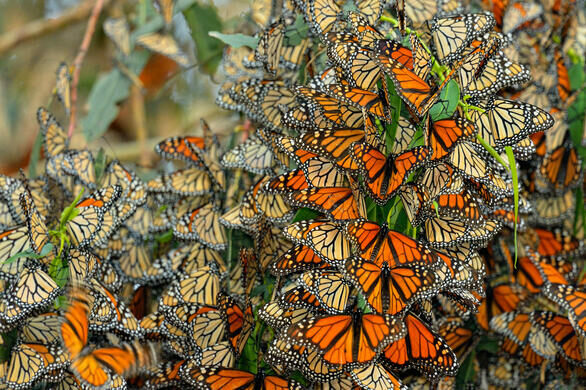 Each year, as many as 25,000 wintering monarchs come to roost in the eucalyptus grove at Pismo Beach, about 20 minutes north of the city of Santa Maria. 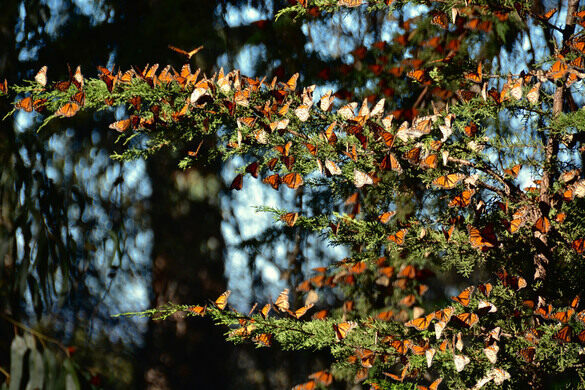 The butterflies cluster densely together in the trees, lining the branches with curtains of brilliant orange that can stretch for several feet. At first glance, these butterfly congregations look like clumps of leaves that blend in with the landscape and can be easy to miss. 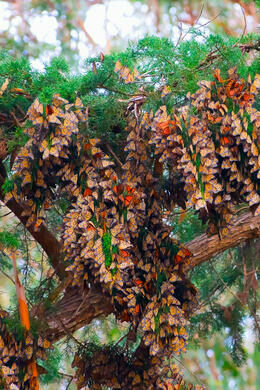 But a closer look reveals an overwhelming number of monarchs huddled together for warmth and protection. 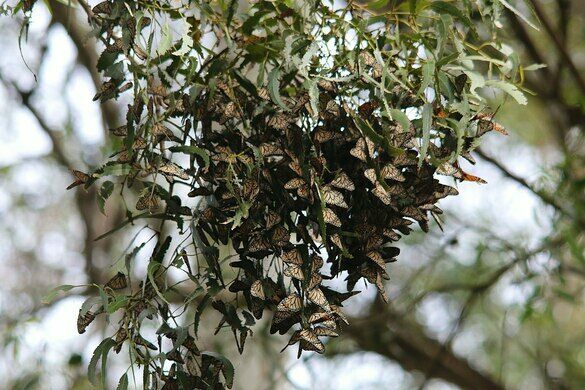 The butterflies hang upside down from the branches, each with a wing down over the one below it to create a shingle effect that helps protect the delicate creatures from wind, rain, and predators. When the sun comes out, the insects start to break off from the group and spread their wings and bathe in the warmth. 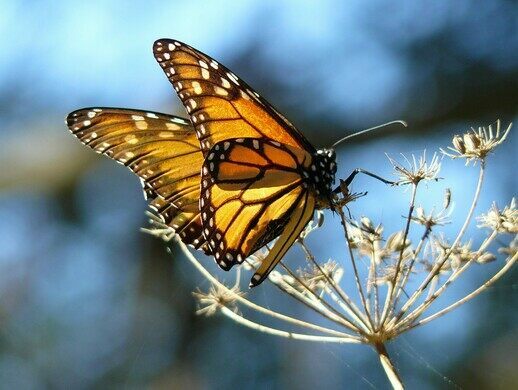 On a sunny afternoon, they can be seen fluttering through the air looking for nectar and water to drink. 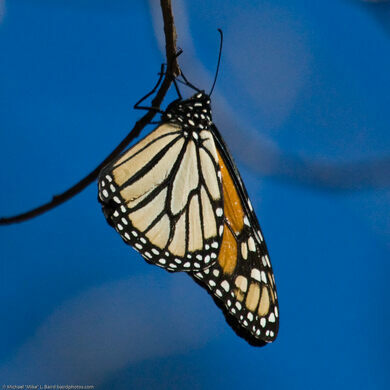 These beauties are part of the western monarch population in North America, which migrates down from the northern states west of the Rocky Mountains to forested areas along the Pacific coast in central and southern California. 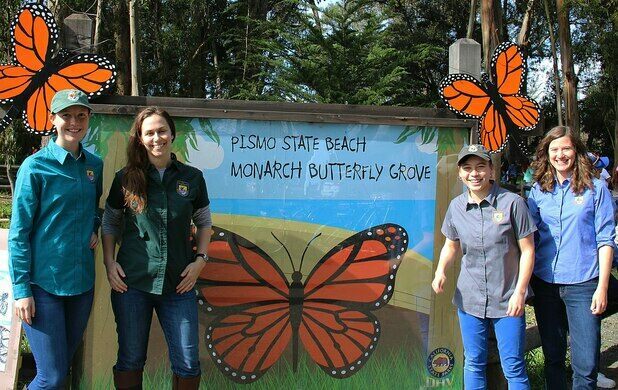 Pismo Beach is one of just five monarch roosts in the Golden State that host more than 10,000 butterflies each year, many of which have braved a dangerous journey of over 1,000 miles by the time they reach their winter home. 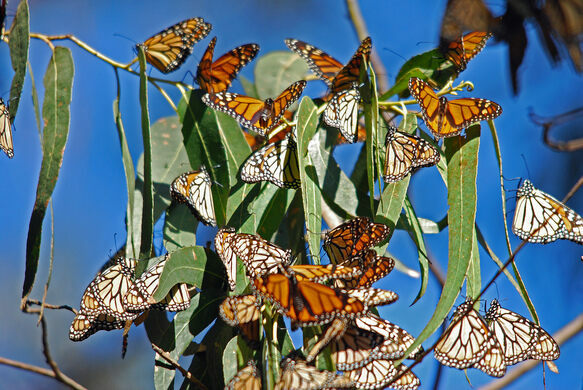 At the Pismo Beach Monarch Butterfly Grove, there are telescopes placed around the grounds pointed at the largest clusters of butterflies so visitors can get a closer look at the vibrant hues and recognizable orange, black, and white pattern of the monarchs’ wings. For the best viewing experience, visit the park during the high season between November and February, before the weather starts to warm and the butterflies begin their long journey back north. 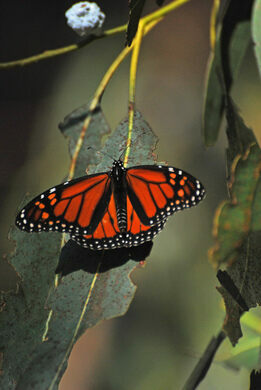 The butterfly grove is located off Highway 1, on the west side of the road just past North Beach Campground. There is free parking on both sides of the highway. Admission is free and the park is staffed by docents from November to the end of February, from 10 a.m. to 4 p.m. daily. Educational talks by docents are given twice a day at 11 a.m. and 2 p.m. A short, boarded walking trail leads from the butterfly grove to the beaches at Pismo Beach State Park. Feast your eyes upon hundreds of Nepal's native butterflies and moths. It’s a bug’s life at this Korean eco-event park, built to host an annual butterfly festival.